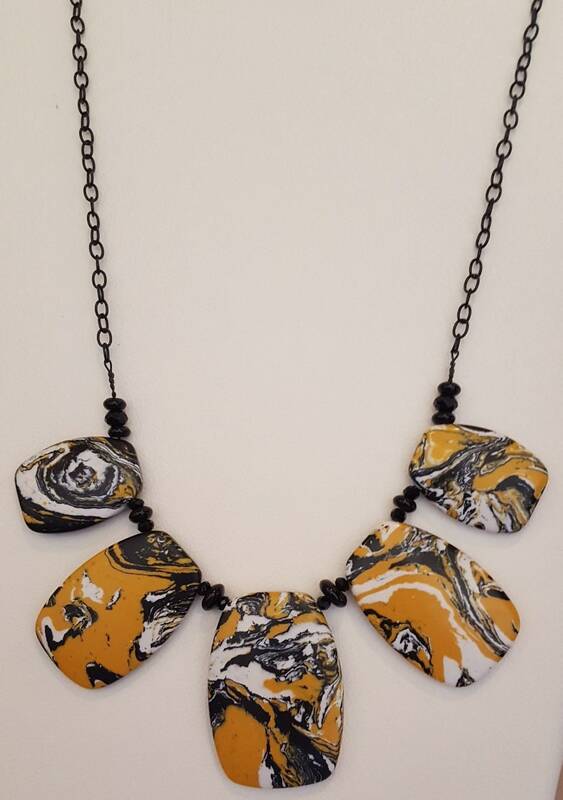 You're sure to make a statement with this yellow, black and white Jasper necklace. Strung with black chain, measures 20" . Complemented with black onyx and cut spacer beads. Center piece 2" x 1 1/4", end 1 1/4" x 1". Black lobster claw clasp. Very striking.